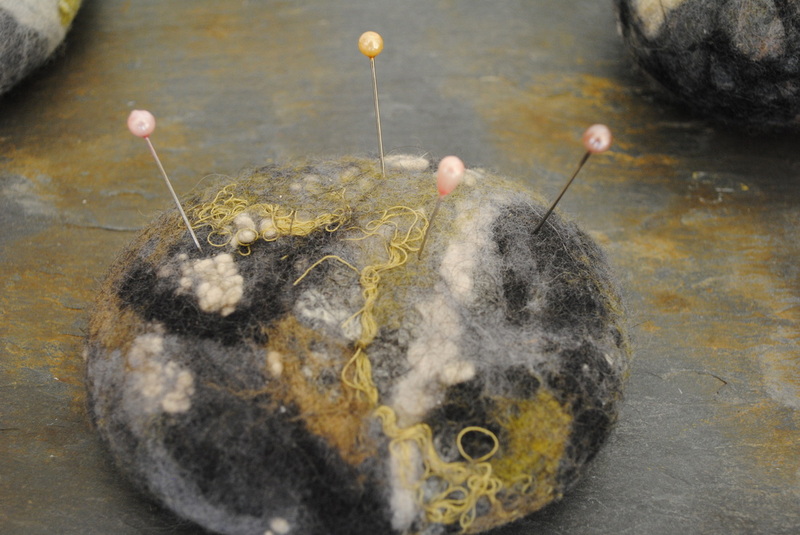 These amazingly realistic felt pebbles are a joy to behold. 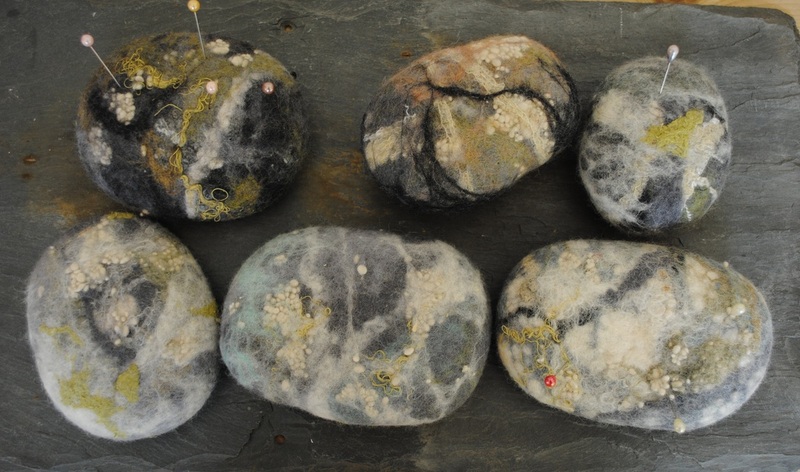 Seaweed, lichen and crustations seem to be woven into the very fabric of the colourful pebbles. They are available in packs of six small pebbles @ £15.00 or individual large pebbles @ £15.00 . As always the price includes p&p to u.k. mainland. Market prices are £10.00 for six small and £10.00 for an individual large pebble. Large pebbles as Pin Cushions?